Karl Steiner has been named associate provost for interdisciplinary research initiatives. 11:13 a.m., Aug. 18, 2008--Karl Steiner, currently the associate director of the Delaware Biotechnology Institute and a professor of electrical and computer engineering, has been named associate provost for interdisciplinary research initiatives at the University of Delaware effective Sept. 1, according to Mark Barteau, UD senior vice provost for research and strategic initiatives. As associate provost, Steiner will lead efforts in the Research Office to establish successful multidisciplinary research centers and programs by developing collaborative partnerships among disciplines and generating competitive proposals to federal funding agencies. He will work closely with faculty leaders to develop and support high-profile, interdisciplinary research initiatives, especially in the areas of health sciences, energy, and the environment, as identified in the University's Path to Prominence" strategic plan. Steiner will also have responsibility for some of the initiatives incubated at DBI, including the National Institutes of Health-funded IDeA Network of Biomedical Research Excellence (INBRE) and Delaware's National Science Foundation-sponsored Experimental Program to Stimulate Competitive Research (EPSCoR), as well as state and regional cyberinfrastructure activities. 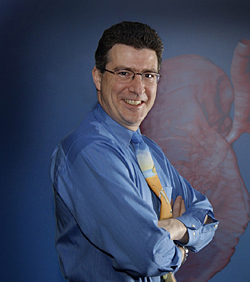 Steiner joined the University of Delaware in 1984 and has served in leadership roles in numerous major multidisciplinary programs funded by the National Institutes of Health, the National Science Foundation, the Department of Defense, the Department of Energy, the state of Delaware, foundations and the private sector. He has been instrumental in securing $80 million in externally funded programs for University and statewide initiatives. Prior to his appointment at DBI in 2000, he served as the executive director of the UD Center for Composite Materials, an interdisciplinary research center in the College of Engineering and one of the foremost academic research centers in its field. From 1996-98, he was the founding executive director of Fraunhofer USA's Resource Center Delaware, a subsidiary of the German Fraunhofer Society, one of the largest nonprofit applied research organizations in the world. This center has since evolved into the highly successful Fraunhofer USA Center for Molecular Biotechnology. Steiner has served as the program coordinator for the NIH-INBRE program since its establishment in 2001 and has directed the bioinformatics efforts launched under the INBRE program. He is also co-principal investigator for the NSF-EPSCoR Research Infrastructure Improvement program. Steiner has over 20 years of research experience in image enhancement and computer-aided simulation and visualization methodologies. In 2003, he was recognized for his work on visualization in the life sciences as a Computerworld Honors Laureate during a reception at San Francisco's City Hall. Steiner has contributed over 70 technical publications in international journals and conference proceedings related to manufacturing science, nondestructive evaluation, computer visualization, and image analysis methodologies. He has served as conference and session chair in numerous technical conferences and workshops and as reviewer for several journals focused on composite materials and nondestructive testing, and has given many research seminars and presentations at international conferences, academic institutions and industrial sites across the world. Steiner has advised and co-advised 22 Ph.D. and master's students, and more than 40 senior theses by undergraduate students from the U.S. and abroad. He has been instrumental in establishing several successful exchange programs with the German Carl Duisberg Society and other academic institutions that have enabled more than 30 exchange students from across Europe to conduct a part of their research education in Delaware. Steiner received his doctorate in engineering from the University of Kaiserslautern in Germany, his master's degree in electrical and computer engineering from UD and completed his undergraduate degree in information technologies in Braunschweig-WolfenbŸttel, Germany.